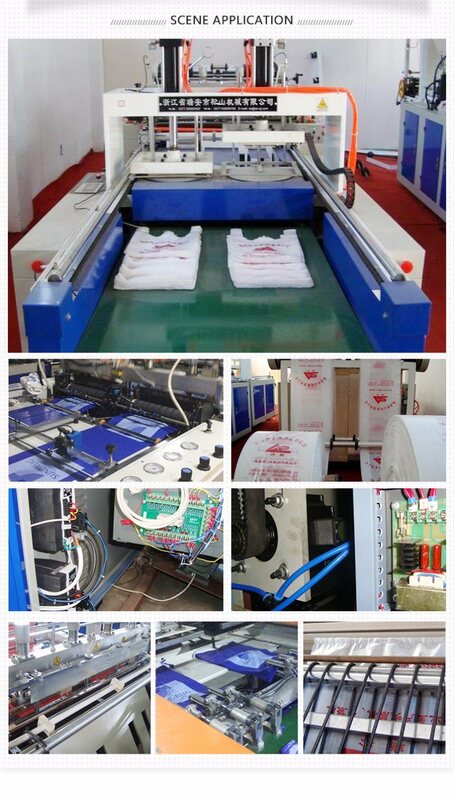 Our Hot Cutting Bag Making Machine,Â with better sealing effect,Â is specially designed forÂ T-shirt bagsÂ with photoelectric automatic tracking, fixed-length by microcomputer, high limit downtime, automatic counting and alarm on reaching the set value, high compensation accuracy, keep the bags neat,Â little error and high automation, so it is an ideal equipment for producing T-shirt/vest bags.Â The HDPE/LDPE film bags produced by this machine are suitable for go shopping in the supermarket and shopping malls. Based on Zhejiang, we face the whole country, and approach to the world. 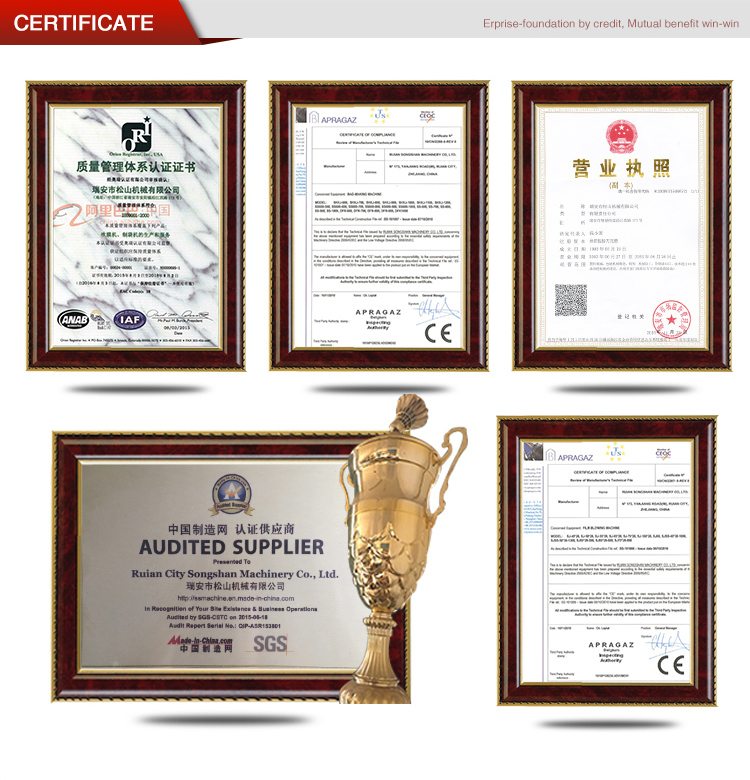 Ruian Songshan Machinery is studying and adopting international standards and industry-leading technology to create high-quality film blowing machine and high-speed bag making machine, and flying high around the world with "integrity, responsibility, innovation and dedication". 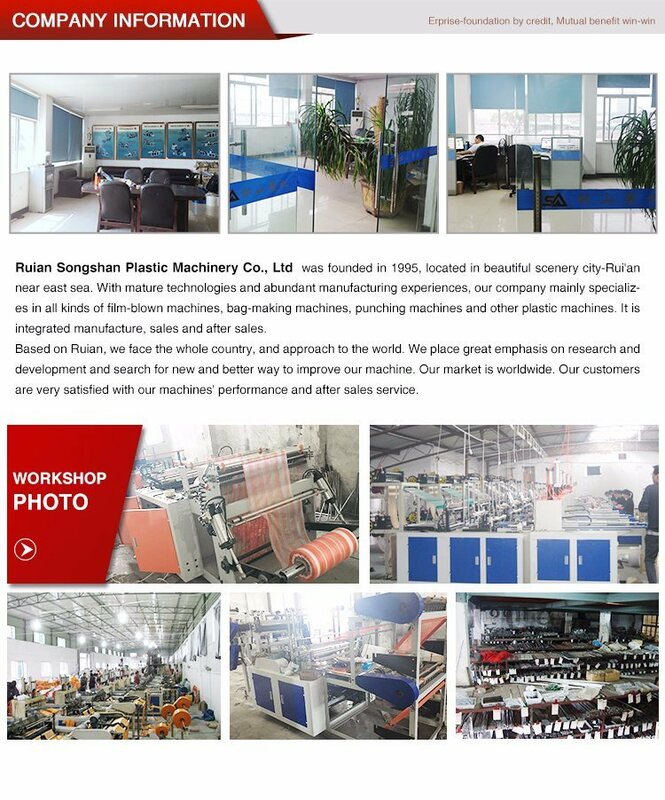 Ruian Songshan Plastic Machinery Co., Ltd. Was foundedÂ in 1995, located in beautiful scenery city-Rui'an near east sea. 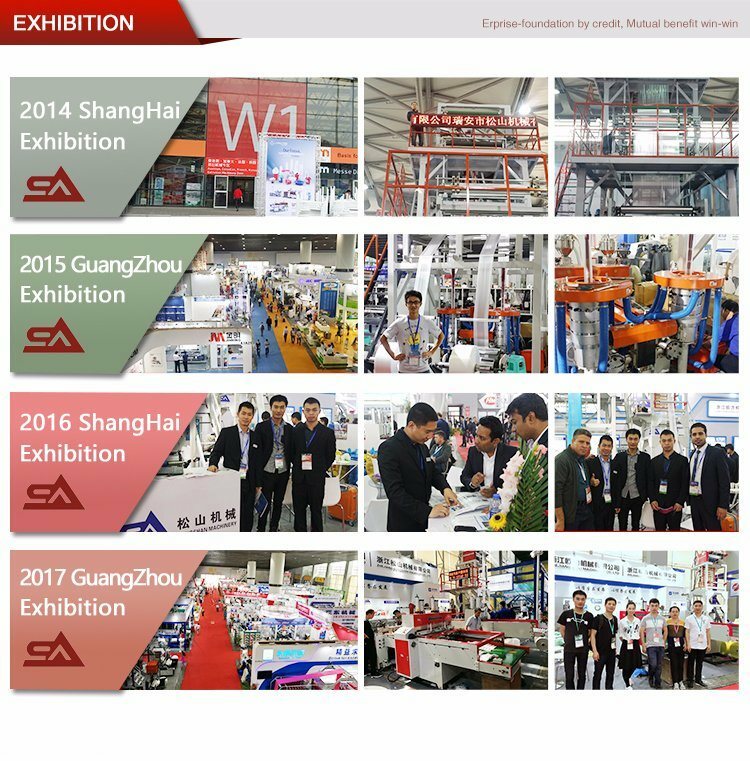 With mature technologies and abundant manufacturing experiences,Â Songshan is aÂ qualified plastic machinery manufacturer that specializes in making all kinds of sealing &Â cutting machine, all kinds of blown film extruder and all kinds of plastic recycling machine. 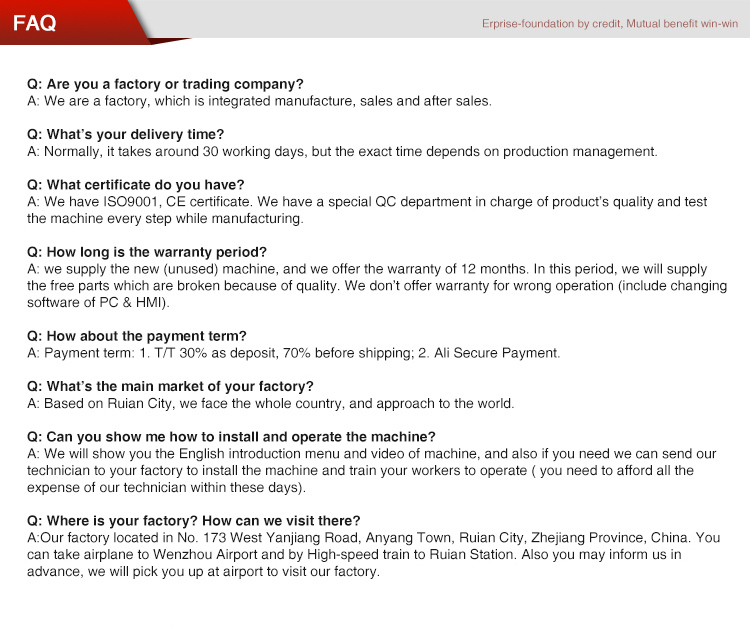 It is integrated manufacture, sales and after sales. 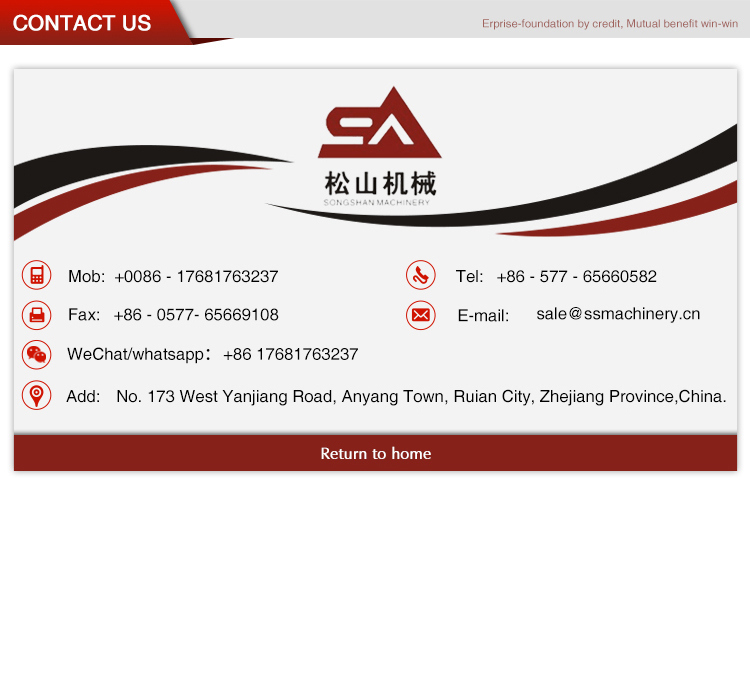 With advanced technologies, good quality and perfect after-sales service, our all products are far distributed to Russia, Iran, India, Malaysia, South Africa, Indonesia, and Algeria and so on. 8. The quality creates the brand.